Dry hair is the bane of my life. The constant battle between wanting to be blonder and wanting hair thats ion good condition. But I’ve found the secret to keeping my dry hair in good shape. 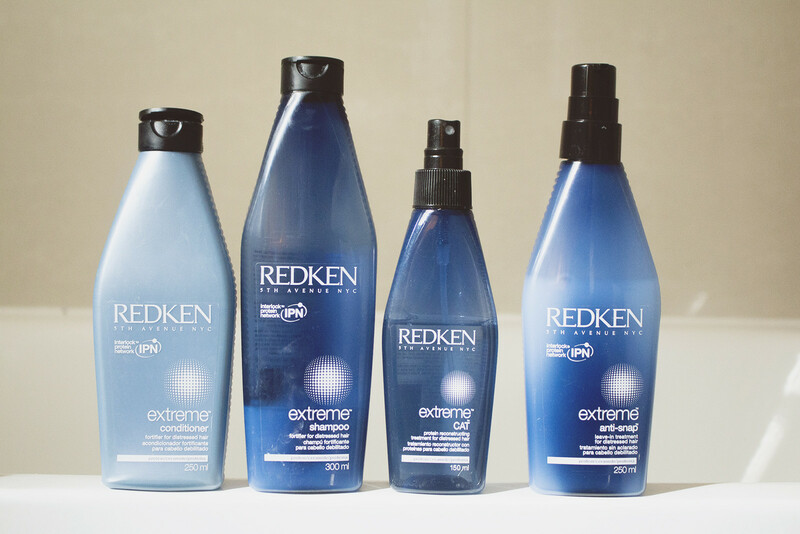 The Redken Extreme Range is out of this world - It’s honestly one of the best haircare ranges for dry, damaged and chemically processed hair types. I’ve spoke about it on the blog before but I thought I’d write another post singing the range’s praises because it's just that damn good. The shampoo and conditioner are in my regulr hair rotation, and I've repurchased the duo more than I care to admit. Alongside this I spritz my hair once a week with the Redken Extreme CAT Protein Treatment. It’s a spray on conditioning treatment which adds protein to the hair to protect, reconstruct and fortify the hair follicles. I dont use this all the time but at least once a week to give my hair a good boost. I will say that if if you buy one product from the Redken Extreme range then I highly recommend the Redken Anti Snap. It’s a pre-blow dry treatment that revitalises dry ends and tames frizz. I have quite a lot of breakage around the front of my hair from where it’s been over processed and this regularly keeps my hair feeling normal. It’s light and non sticky and just makes the hair feel amazing. Seriously. If you have dry hair consider this range for sure. It's absolutely wonderful and makes the hair feel much much better condition.